Whether you are just getting started or improving your skills, we have the courses you want. 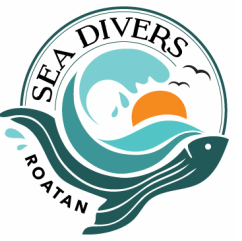 All courses here at Sea Divers are taught by experienced PADI Instructors. We take our jobs seriously and are sticklers for standards. That is not to say you will feel like you have just joined the army. We make learning to dive, safe, educational AND FUN. Priding ourselves on small groups, you will never be one in a crowd. We are patient and understanding of all those little fears you may have and will take all the time you need to feel confident with scuba diving. If you need some one on one we'll be more than happy to be there for you. Sea Divers also knows that you are on vacation, we can be flexible with schedules so you can take that island tour and lay out in the sun when the urge hits you. To get you diving, we have 3 options for you. Each can be done separately or there is a progression from Discovering Scuba to being fully certified. We can also do combinations to accommodate the different desires within your group. Each dive is $100 USD. You can safely do two dives per day. These dives can count toward one of the next two options. This PADI certification course is $260 USD, which includes all equipment. Apply a 15% discount if you have completed a Discover Scuba Fun Dive with us within the prior three months. This PADI certification course is $360 USD, which includes all equipment. Apply a 15% discount if you have completed a Discover Scuba Fun Dive with us within the prior three months or you have a PADI Scuba Diver certification that was obtained within the last six months. Exploration, Excitement, Experiences. They’re what the PADI Advanced Open Water Diver course is all about. And no, you don’t have to be “advanced” to take it – it’s designed so you can go straight into it after the PADI Open Water course. The Advanced Open Water Diver course helps you increase your confidence and build your scuba skills so you can become more comfortable in the water. This is a great way to get more dives under your belt while continuing to learn under the supervision of your PADI Instructor. This course builds on what you’ve learned and develops new capabilities by introducing you to new activities and new ways to have fun scuba diving. Looking for the first step in working with scuba as a career? Your adventure into the professional levels of recreational scuba diving begins with the PADI Divemaster program. Working closely with a PADI Instructor, you expand your dive knowledge and hone your skills to the professional level. PADI Divemaster training develops your leadership abilities, qualifying you to supervise dive activities and assist instructors with student divers. You'll learn dive leadership skills through both classroom and independent study. You complete water skills and stamina exercises as well as training exercises that stretch your ability to organize and solve problems as well as help other improve their scuba. You will put this knowledge into action through a structured internship or series of practical training exercises.